The Sombath Initiative was conceived in early 2014 and publicly launched on 11 December 2014. Note: Members of the Advisory Board serve in a personal capacity. Professional affiliations are listed for identification purposes only. Sombath Somphone is a Laotian citizen from a poor farming family. In the early 1970s he received a USAID scholarship to study at the University of Hawaii in the fields of Education and Agriculture. After his graduation in the early 1980s, he returned to Laos, with the intention to work to rebuild his home countries which had been devastated from its thirty years of war for independence. Sombath Somphone’s work which spanned for nearly four decades had largely focused on youth empowerment, alternative education, and sustainable development. He has received wide recognition for his efforts, including the UN ESCAP Award for Poverty Reduction in 2002, and the Ramon Magsaysay Award for Community Leadership in 2005. In October 2012, Sombath served as Co-chair of the 9th Asia-Europe People’s Forum, a benchmark civil society conference in the Lao PDR. The event widely praised as highly successful raised hopes of paving the way for a wider dialogue between the Lao citizenry and the state. Then on December 15, Sombath was stopped by traffic police in Vientiane and then taken away in another vehicle. The abduction was captured on CCTV, and he has not been seen since. The Lao government continues to publically express concern over Sombath’s disappearance, but has done virtually nothing to investigate it. While the voices of individuals, organizations and governments from around the world have grown in concern, those within the Lao PDR have fallen silent in fear. The exact reasons for the enforced disappearance of Sombath Somphone are not known, but it is clear those responsible want the issue of his abduction to also disappear, along with his vision and voice for a more equitable, inclusive and sustainable future for his country. 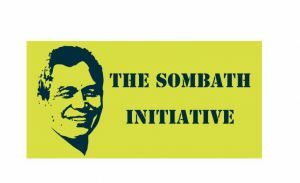 The Sombath Initiative was established in 2014 to ensure that Sombath’s Disappearance will be resolved and that his vision on sustainable development will continue. 2) To carry forward Sombath’s ideas and ideals. As noted, the global reaction to the enforced disappearance of Sombath has been remarkable. The case has also bought considerable attention to related issues of human rights, governance and development policies in the Lao PDR. To date, a loose network of family, friends and concerned groups has been instrumental in furthering this campaign. But to sustain, intensify and optimize the work, longer-term strategies, increased organizational capacity, and more substantive support are needed. Future efforts will fall broadly under the two objectives, and cross-cutting activities. A primary task is to continue work with and among those human rights groups already involved to optimize symbiosis and impact, and to catalyze additional action. The primary aim is to sustain direct and indirect pressure on the Lao government to accept its responsibilities regarding the abduction of Sombath Somphone. Related issues include other enforced disappearances, the International Convention for the Protection of all Persons from Enforced Disappearance, weak governance and judicial processes, restrictions on freedom of expression, association and other civil rights, and risks by activists as well as ordinary citizens who stand up for their basic rights. In addition to the Lao government, campaign targets will include the media, the UN Human Rights Council (which the Lao PDR is campaigning to join), UN mechanisms such as the Universal Periodic Review and Special Rapporteurs, ASEAN (which the Lao PDR will chair in 2016), the ASEAN Intergovernmental Commission on Human Rights, and major donors to the Lao PDR. For Objective Two: To carry forward Sombath’s ideas and ideals. Many of the practical approaches and methods Sombath pioneered continue through various organisations and projects within the Lao PDR, and such field-level work will not be a central focus of The Sombath Initiative. But just as Sombath’s name cannot be spoken in most official gatherings within the Lao PDR, neither can the broader questions he was asking be openly discussed. Hence, another primary aim is to support wider awareness, analysis, documentation and dialogue about Sombath’s broader vision, as well as the effects of and alternatives to the current development and investment policies. Issues will range from ecological, small-holder agriculture to value-centered/learner-centred education, from participatory planning to cultural preservation, and from Gross National Happiness to environmental sustainability. Common threads throughout will be youth, civil society, community involvement and the restrictive environment faced by those working to advance these causes. A network of like-minded organisations will be formed regionally to support these efforts. The Sombath.org website and related pages on Facebook, Google+, and Twitter will be maintained and upgraded to reinforce both objectives. Continued monitoring and analysis of related developments will feed into additional posts, content, media releases, documentary and informational materials as appropriate. Regional workshops, seminars, press conferences and other actions will be organised and/or augmented. Attendance of Lao participants at relevant events will be supported, as well as international speaking and advocacy tours for family members. To preserve autonomy and avoid risk to those working locally, The Sombath Initiative will not work directly in the Lao PDR. Efforts will continue, however, to strengthen linkages and exchange with local individuals and regional groups to serve as a voice raising concerns when appropriate. An administrative umbrella and fiduciary oversight for The Sombath Initiative are provided by Focus on the Global South based at Chulalongkorn University in Thailand. A three-person team, including Sombath’s spouse and a Focus staff member, currently handles management functions, although this will evolve as resources permit the employment of staff. An Advisory Board is in place, and the network of associated organizations and individuals will be further developed. It is hoped that like-minded organizations, and individuals and friends of Sombath will come forward to support organizational support and financial support for this initiative. See http://sombath.org/who-is-sombath/work/ for more about Sombath and his work. See http://sombath.org/video/ for the CCTV and other information about Sombath’s abduction.